Dr Valeriya Vitkova comments on the recently announced plans of the London Stock Exchange and Deutsche Boerse merger. "The London Stock Exchange and Deutsche Boerse have recently announced their plans to merge. If the deal succeeds, it will create one of the world’s largest exchange operators, that will have 3,200 companies listed and trade more than Euro 5.2bn in equities, according to the Financial Times. There are a number of factors which make the deal particularly attractive. 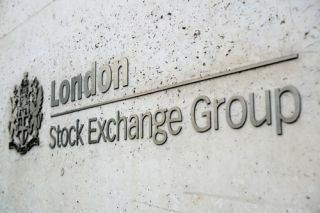 First, a potential merger with the LSE will enable the new company to take advantage of significant growth in the Over the Counter (OTC) clearing market. Second, the new company could also develop a strong competitive advantage by pooling together the OTC open interest and the exchange traded derivatives (ETD) businesses. Last but not least, a potential merger would also enable the newly formed company to compete more aggressively in the ETD market. "Finally, if the UK leaves the European Union, this could result in a post-Brexit political environment that favours blocking the merger."